Housed in the Department of Finance, the commercial real estate finance major provides students with the skills and knowledge to succeed in a diverse number of careers, including real estate, finance, hospitality and tourism, supply chain management, entrepreneurship, urban studies, historic preservation and more. 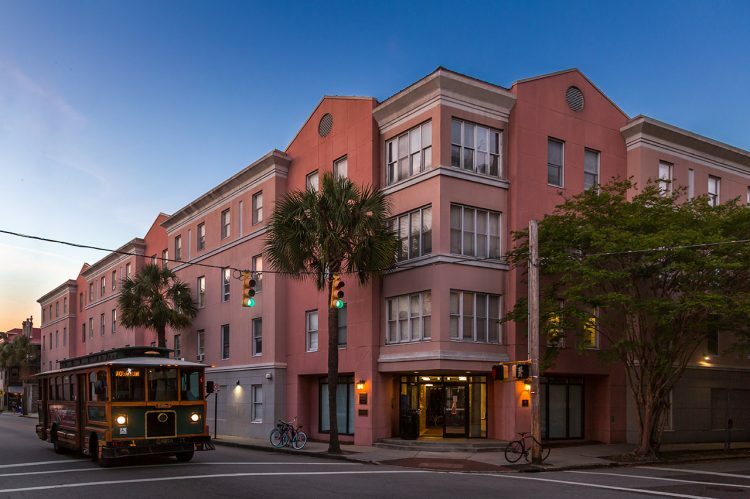 The first of its kind for the state of South Carolina, and one of the only finance-driven commercial real estate programs in the country, the Commercial Real Estate Finance major meets a real need in the Lowcountry and a large market demand across the country. Commercial real estate represents over 30% of the U.S. macro economy. And where better to learn the art of analyzing cash flows for a new property, brokering a large transaction with a client, or preserving a historic building than the place where it’s all happening — Charleston, S.C.
Charleston’s growing population and tourism sector drive the need for more retail, restaurant, office, hotel and other commercial spaces. And with large corporations such as Boeing, Bosch and Volvo flocking to the Holy City to set up shop, the need for trained, talented commercial real estate brokers, asset managers, developers and lenders is nothing short of urgent. Interested in seeing how our students have benefit from a major in commercial real estate finance? If you already know you want to pursue this major, be sure to look for commercial real estate finance in the course catalog and use the major roadmap, a semester-by-semester planning guide. Courses for the major are not listed with the real estate (or REAL) classes for the minor. For questions about this major, please contact Dr. Elaine Worzala, real estate professor and director of the Carter Real Estate Center, or Adam Swalley, assistant director of the Carter Real Estate Center.